Prime Minister Nawaz Sharif on Monday assured China that Pakistan has raised a 15,000-strong armed force to safeguard Chinese nationals working in the country for the USD 46 billion China-Pakistan Economic Corridor, which also runs through the PoK. Sharif also told Zheng Xiaosong, Vice Minister of International Department of the Central Committee of Communist Party of China, when the latter called on him at the PM House here that Pakistan was committed to provide security to the Chinese working in its territory. “We have raised Special Security Division (SSD), comprising of 15,000 military and civilian Armed Forces for ensuring safety of our Chinese brothers working on different projects under CPEC (China-Pakistan Economic Corridor),” he said. He also reaffirmed his government’s resolve to take the war against terrorism and extremism to its logical end, and that the ongoing military operation has been effective. The CPEC and its related projects symbolise the people-centric approach of the two countries which has certainly transformed the friendly relations between the two countries into a strong economic partnership, Sharif said. On his part, Zheng expressed satisfaction with the pace of work under CPEC - the USD 46 billion project which became operational last month and also runs through Pakistan-occupied Kashmir (PoK). “China-Pakistan friendship has entered into a new phase during the present government in Pakistan. We are satisfied with the pace of implementation work on various projects under CPEC, especially in Punjab the speedy work is exemplary,” he told Sharif. According to an official statement, Sharif while welcoming the Vice Minister on his visit to Pakistan called Islamabad and Beijing close friends, neighbours and partners as he expressed hope that Zheng’s trip will further strengthen the warm and friendly ties between the two countries. He also underlined that bilateral trade between China and Pakistan has crossed USD 18 billion. “The Prime Minister underlined that the benefits of Free Trade Agreement (FTA) are visible in growing bilateral trade, which crossed the figure of USD 18 billion this year,” the statement said. “The enormous potential of trade between China and Pakistan will further enhance the quantum of bilateral trade between the two countries,” it quoted Sharif as saying. 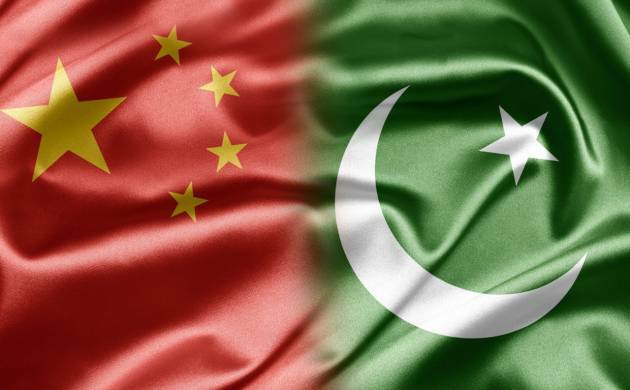 Zheng said that alongside the rapidly improving relations between China and Pakistan, ties between the Communist Party of China and Pakistan Muslim League (N) are also fast increasing as he sought delegation-level exchanges between the two political parties. “We need to continue the high-level exchanges between our two countries and political parties,” he added.